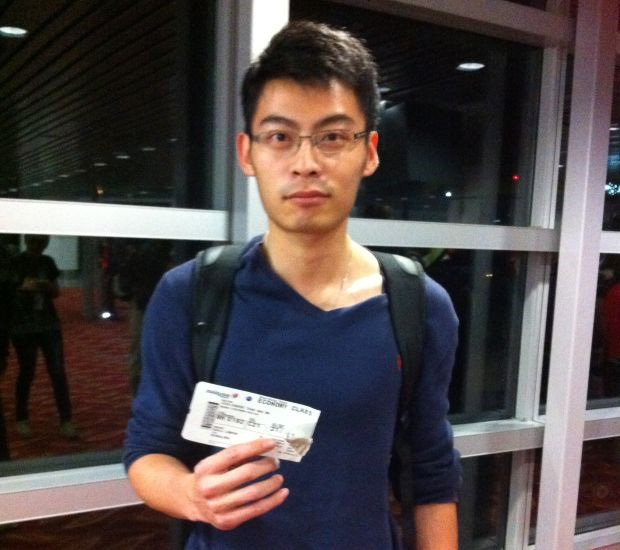 Malaysia Airlines flight MH192 passenger Eugene Chin shares his traumatic experience but is happy to be back safe. 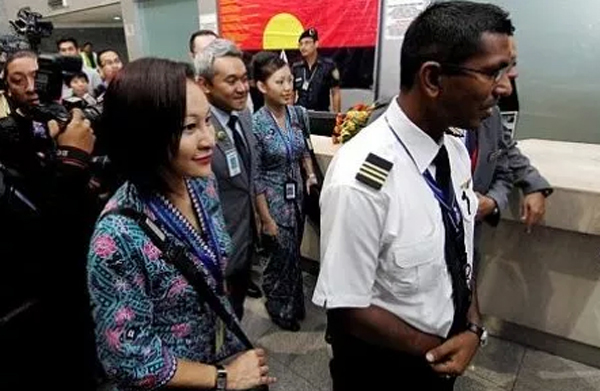 SEPANG, Malaysia - A Malaysian passenger is happy to be alive after flight MH192 was forced to make an emergency landing at the Kuala Lumpur International Airport early Monday. 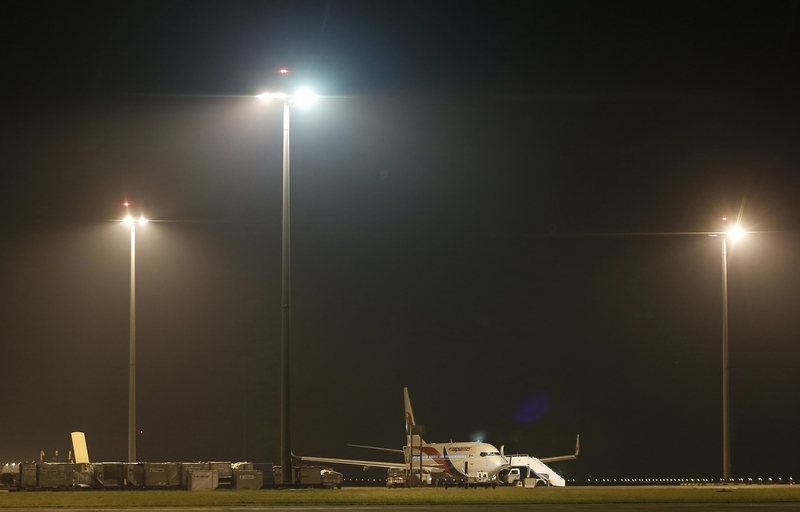 "When the plane was about to take off, we could hear three loud bangs. The plane was shaking, especially rows 19 to 23 on the D, E and F side," said the passenger who wanted to be known as Raymond. "Oxygen masks dropped but people did not panic. 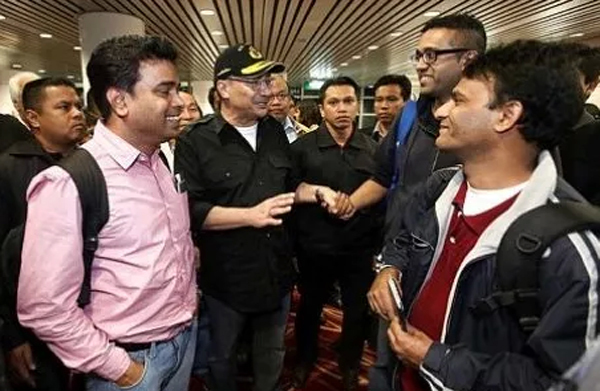 There was a lot of praying but people were calm," he said when asked about the situation in the aircraft that hovered for about three hours above KLIA. Raymond said the pilot did a good job by keeping everyone up to date with news of the flight. "There wasn't as much information as I would like but we were kept updated," he said. Malaysian IT strategy analyst Eugene Chin, who was heading to Bengaluru (Bangalore) for training, was asleep when one of the tyres of the plane burst during take off. "When I woke up an hour later, I noticed that we were still hovering near Malaysia. 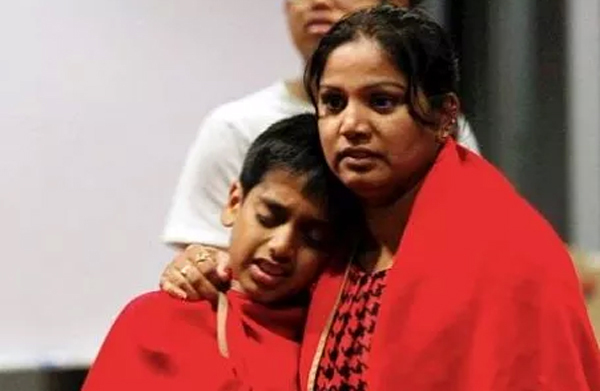 I then overheard that something was wrong with the landing gear of the plane and that there was a possibility of an emergency landing," said the 24-year-old. He said the plane went through a bumpy take off and he felt as if the plane had hit something. "We received constant updates. The captain did a good job and was very thorough with safety procedures," he said. "The captain reassured us multiple times so that we know what was happening." 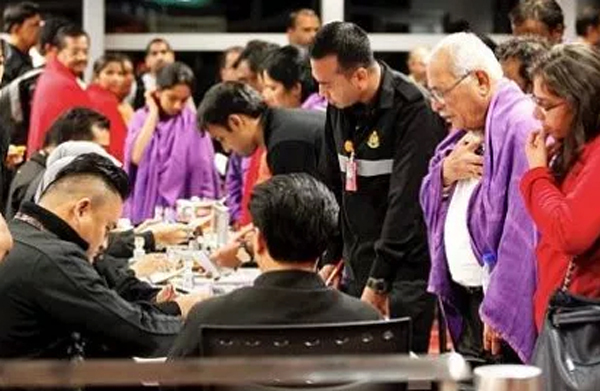 Earlier, MAS had issued a statement that flight MH192 that departed from KLIA at 10.09pm Sunday bound for Bengaluru had to make an air turn back. Flight MH192 was scheduled to arrive in Bengaluru in India at 11.35pm the same day. 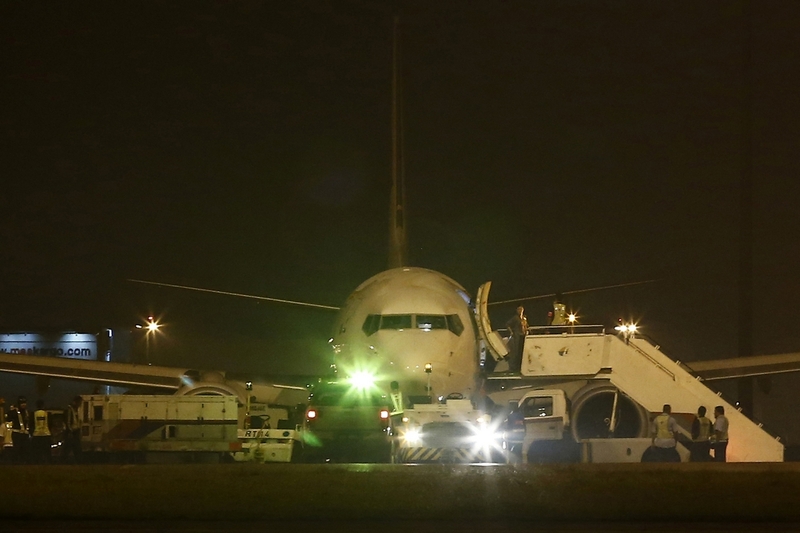 The aircraft, which right-land landing gear malfunctioned upon take off, landed safely at KLIA about 1.56am. 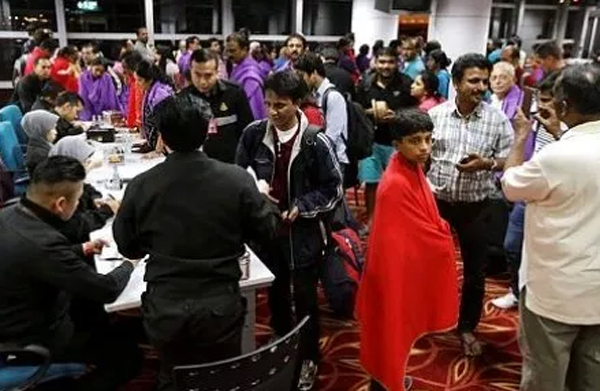 The flight was carrying a total number of 166 people on board which include 159 passengers and seven crew members. 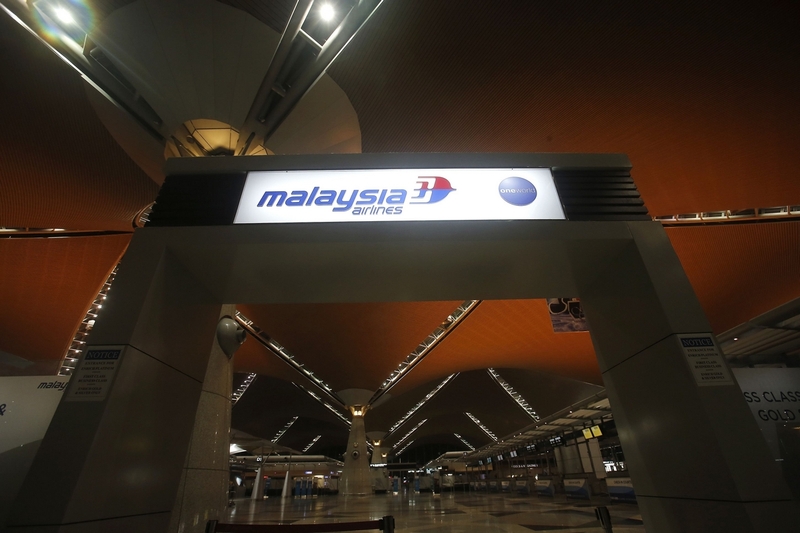 A Malaysia Airlines plane with 166 people aboard was forced to make an emergency landing in Kuala Lumpur early Monday. 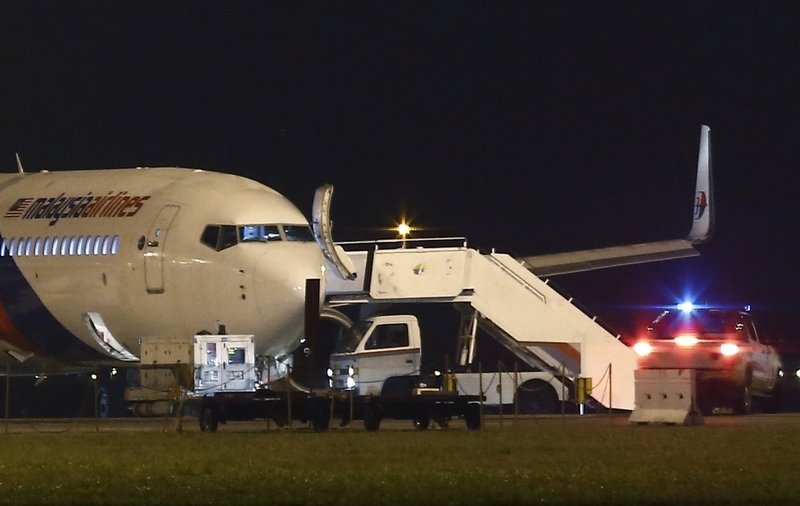 The plane landed safely at 1:56 am, nearly four hours after it took off, the flag carrier said. "All 159 passengers and 7 crew members on board have disembarked from the aircraft." 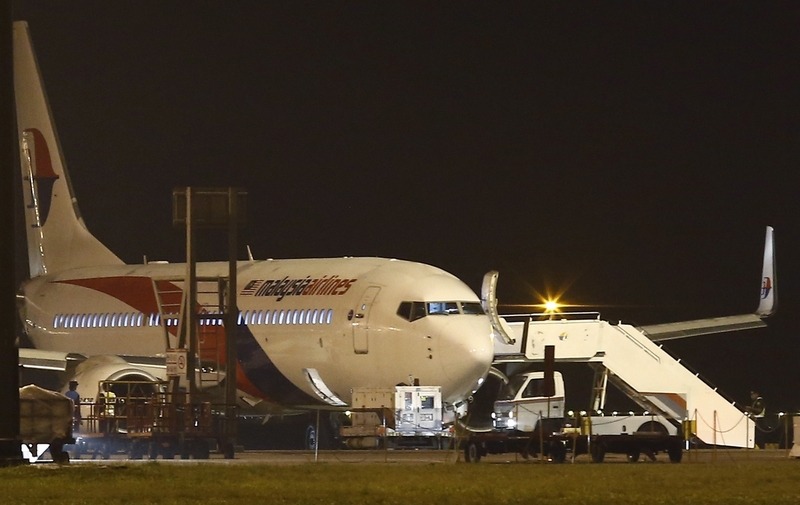 Passengers of MH192 alighting the plane after it safely landed in KLIA. 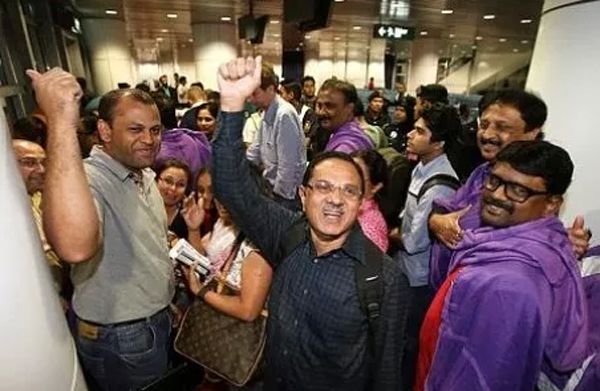 "They have landed safely - thank God," tweeted Acting Transport Minister Hishammuddin Hussein, who is overseeing Malaysia's response to MH370. Passenger Eugene Chin shares his traumatic experience but is happy to be back safe. Passengers arriving at Gate 2 in KLIA after the air turn back. 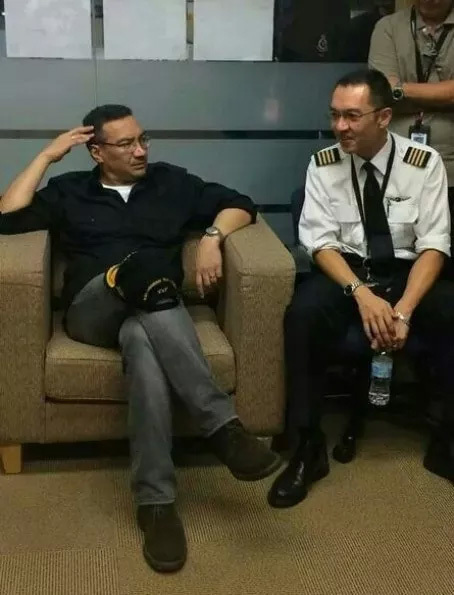 Hishammuddin talking to Captain Nor Adam Azmi Abd Razak after the ordeal. 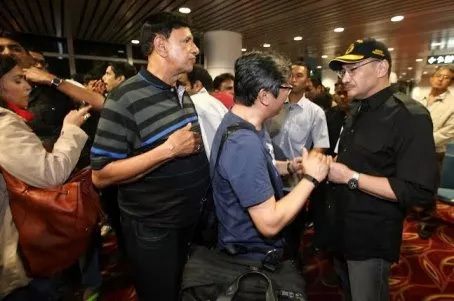 Hishammuddin visits MH192 passengers at the KLIA's arrival hall at 3.45am. 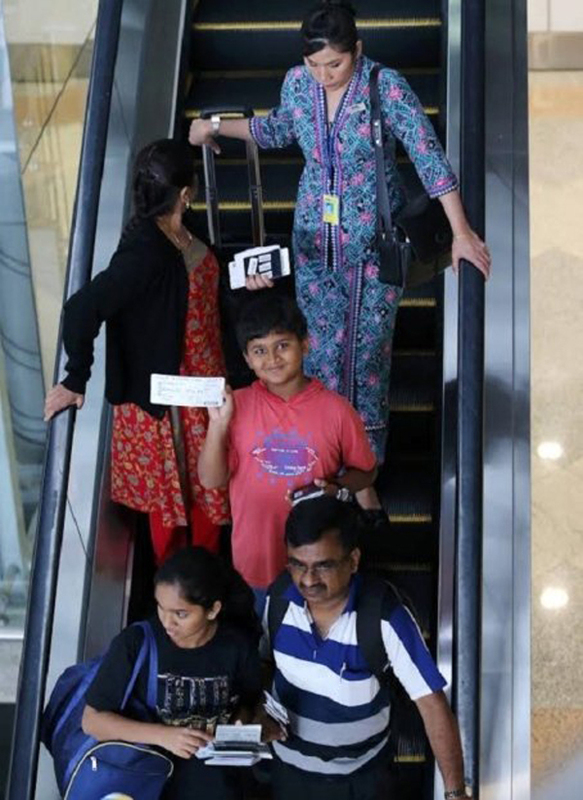 It was all smiles for passengers of MH192 as they checked in at KLIA before embarking to Bangalore. Passengers of MH192 gives the thumbs up as they are greatful that the flight which made air turnback landed safely at KLIA. 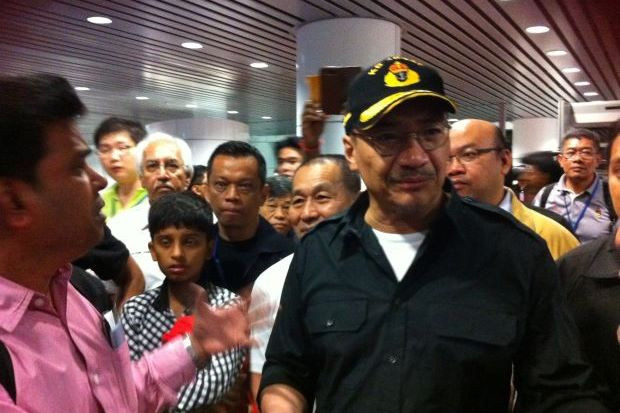 Acting Transport Minister Datuk Seri Hishammuddin Hussein talks to MH192 passengers. 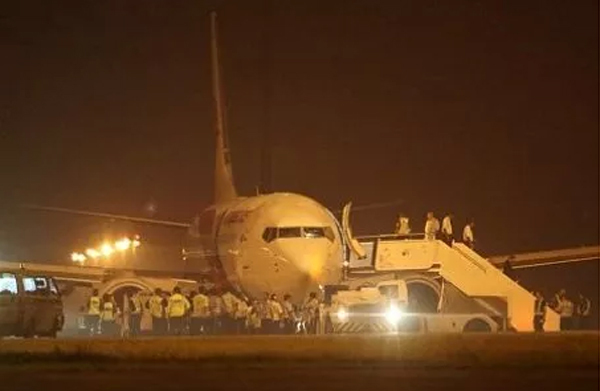 Passengers of Banglore, India bound flight MH192 that made a turnback at KLIA after the plane landed safely. 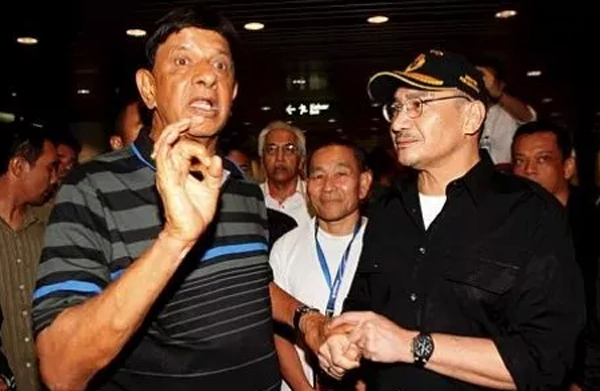 Acting Transport Minister Datuk Seri Hishammuddin talks to mh192 passengers. 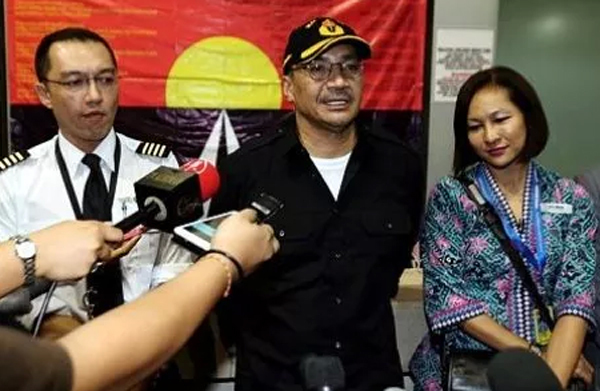 Acting Transport Minister Datuk Seri Hishammuddin Hussein at a press conference on the MH192 incident. Also present is MH192 Captain Nor Adam Azmi Abdul Razak (left). 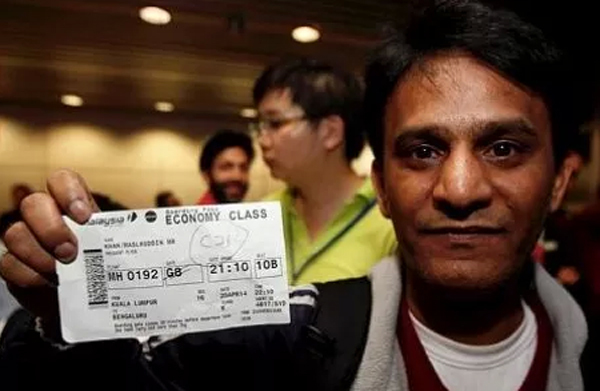 A passenger shows his flight ticket.